Sarah Shaw focuses her practice on commercial real estate transactions. 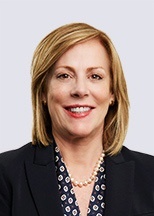 She has represented REITs, private equity firms, lenders and corporations in the purchase, sale, financing, construction and leasing of all types of real estate, including shopping centers, office buildings, multi-family properties and manufacturing facilities. Represented REIT client in the acquisition of a mixed use residential and retail property in a Northshore suburb of Chicago, IL. Represented REIT client in the disposition of a ground lease shopping center with national tenants located in Tallahassee, FL. Represented private equity client as the subject matter expert for a stock purchase transaction involving leases for corporate manufacturing facility in Tucson, AZ leased from related party landlord. Represented private lender in documenting security instruments for a three tranche, loan secured by mortgages on 18 healthcare facilities located in eight different states.